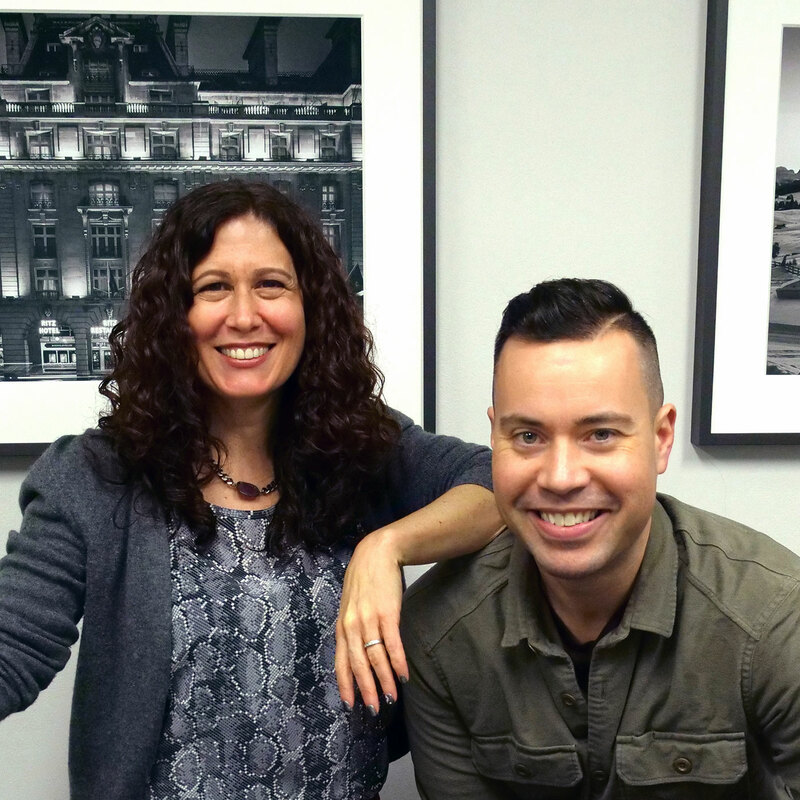 Michelle Tillis Lederman is a former finance executive, NYU professor, and author of The 11 Laws of Likability and The Connector’s Advantage: 7 Mindsets to Grow Your Influence and Impact. How to make strong connections and effectively manage your network even if you’re an introvert. How to magnify the power of connection you’re probably already leveraging in your personal life if you’re an extrovert. One of the most common recurring themes on this show is networking and relationship development. The reason for this is because no single skill set in my entire life has yielded nearly the number of business results or amount of wealth, happiness, fulfillment, and well-being as has the skill and practice of building and maintaining strong relationships in my personal and professional life. Today on the show, The Connector’s Advantage: 7 Mindsets to Grow Your Influence and Impact author Michelle Tillis Lederman and I discuss the idea that people who connect with one another do so on a spectrum. We’ll find out where you are on that spectrum, as well as give you the tools to move upwards. We’ll also explore the types of connectors and outline a few practical ways that you can learn to become one of these super connected, successful archetypes yourself. Listen, learn, and enjoy! In her last book, The 11 Laws of Likability, Michelle Tillis Lederman laid out the foundation for building meaningful relationships that transcend manipulative transaction and focus on creating authentic bonds between people. 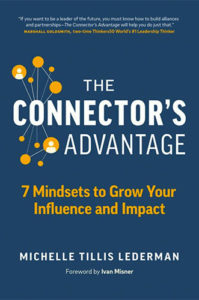 Michelle’s latest book, The Connector’s Advantage: 7 Mindsets to Grow Your Influence and Impact, digs deeper to help you discover why your networking efforts may be falling shorter than expected and what you can do to ramp them up to better effect. Michelle makes it clear that not everyone should strive to be a Super Connector, but most of us can move at least a few steps closer from where we are now. Connectors make things happen faster, easier, and better. Connectors are healthier. Research shows that the mortality impact of social isolation is the same as smoking 15 cigarettes a day for 10 years! Connectors are happier. Close work relationships boost job satisfaction by 50% and predict happiness on the job. Connectors get the job. 85% of jobs come through networking. Connectors get the promotion. You are 70% more likely to get a promotion if you have an active mentor relationship. Connectors get the business. People are four times more likely to buy when referred by a friend. Have a spirit of generosity. This seems pretty straightforward. So what prevents people from adopting these mindsets? Listen to this podcast in its entirety to hear Michelle break down each of these mindsets with clear examples, and don’t forget to download the worksheet so you can start moving up the Connector Spectrum sooner rather than later. Click here to thank Michelle Tillis Lederman at Twitter! Click here to connect with Michelle Tillis Lederman on LinkedIn!